Dr. Aleksandar Rakovic conducted an interview with Miroslav Lazanski, a well known Serbian journalist with ties to the intel agencies across the Balkans. “Zaev is not a serious individual, in fact, it’s just the opposite. He is a person who has subhuman qualities who is told what to say at all times. Think of him as a parrot, he only repeats what he has been told to say. He is of obvious low and extremely limited intellectual capacity. And this is precisely the point. When the Americans bring someone in power, they usually observe and ensure the IQ of the individual is below mediocre, someone who doesn’t have the ability to think and who will fulfill all orders without questioning anything. 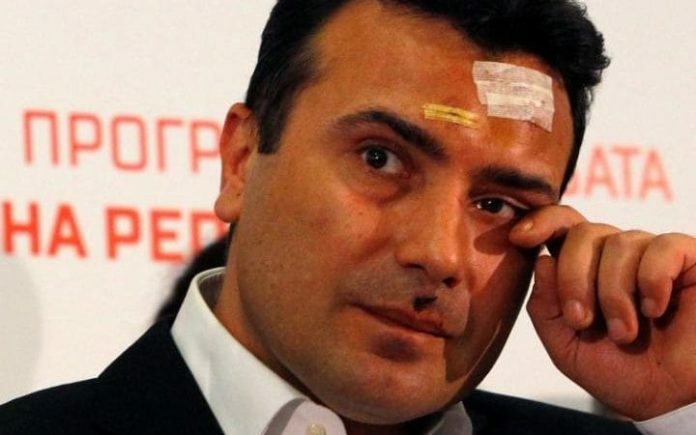 In Podgorica during a meeting, Zaev announced that he is ready to “sacrifice himself”! Allegedly there is an assassination prepared for Zaev similarly to the nonexistent assassination attempt of Djukanovic, and this CIA puppet was ready to sacrifice himself so Macedonia can be inserted in NATO. But, I am not an optimist, I believe that the Americans are using all of their mechanisms to put pressure on Greece and to somehow put Macedonia into NATO under their UN acronym. And this acronym may stay for the country for the next 20-30-50 years – says Rakovic. Dr Rakovic also added that he believes the Kosovo terrorists will be granted amnesty by the DUI-SDS led Government.